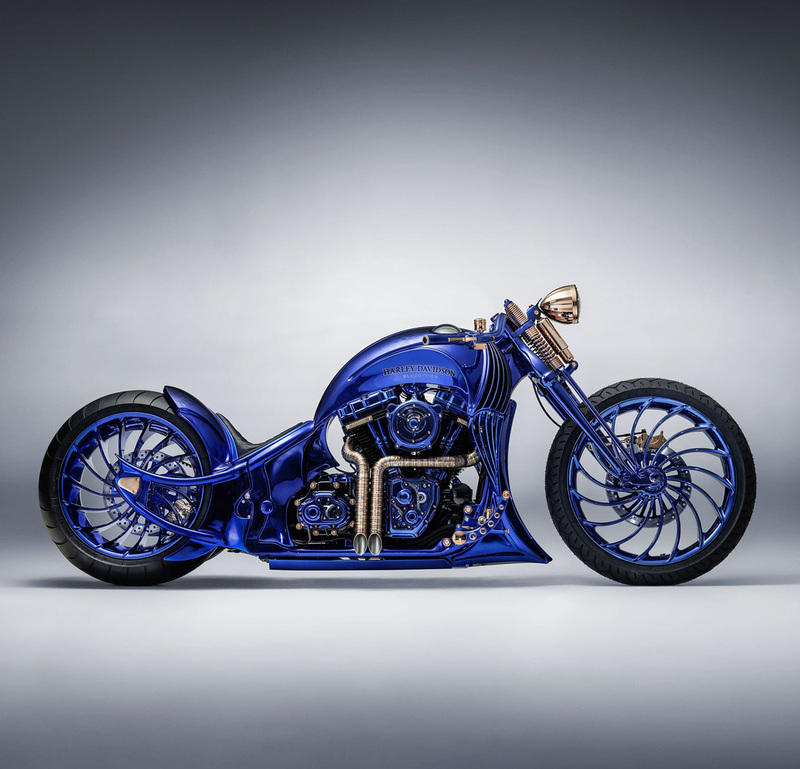 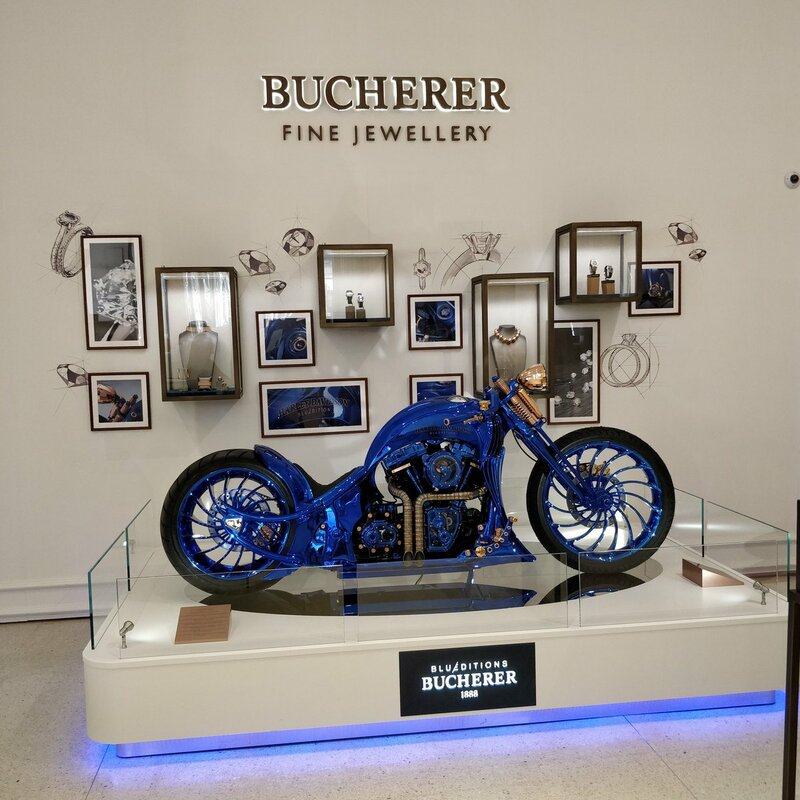 Swiss heritage brand Bucherer has teamed up with Bündnerbike to create a one-of-a-kind motorcycle, to celebrate Bucherer’s Blue Edition collection. 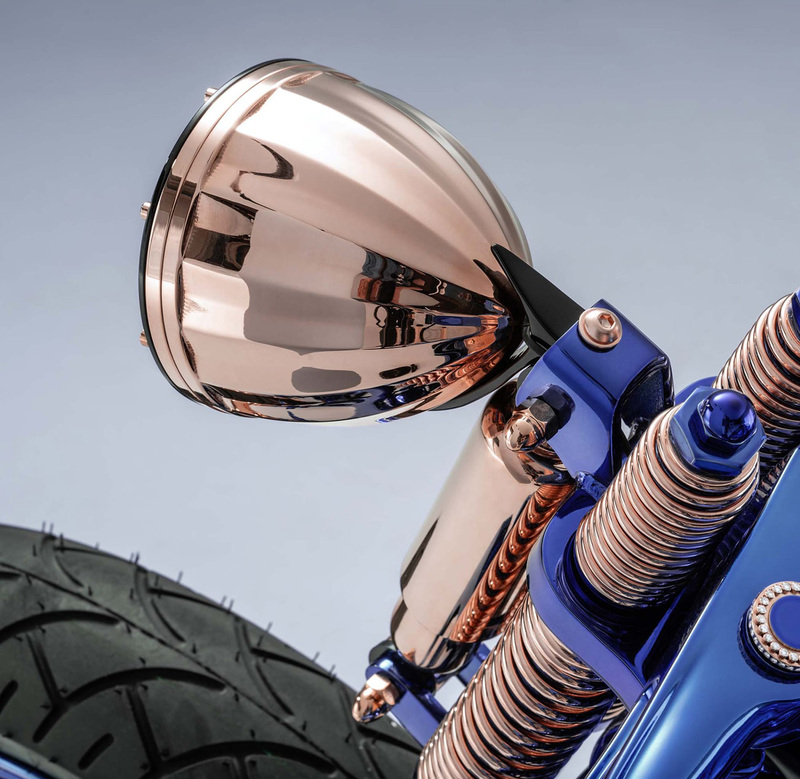 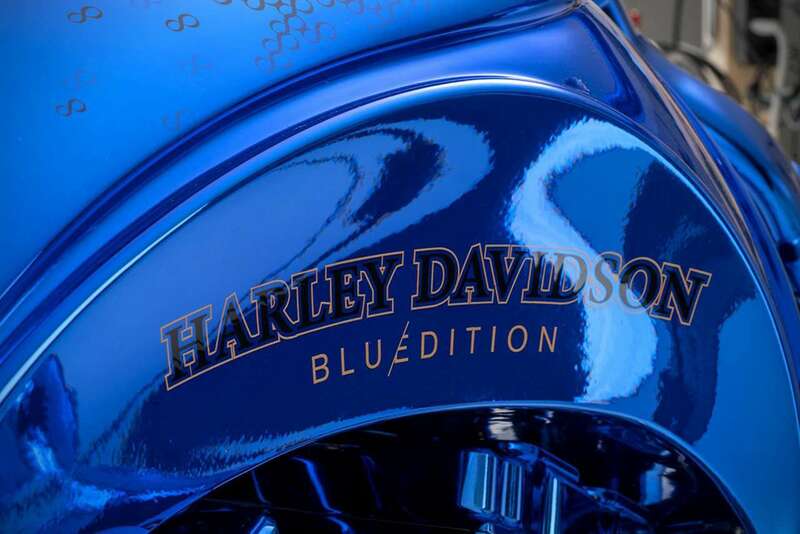 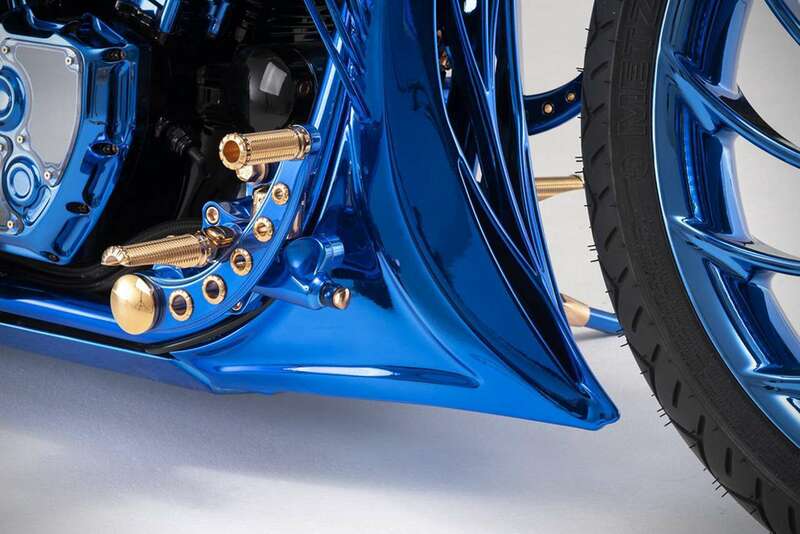 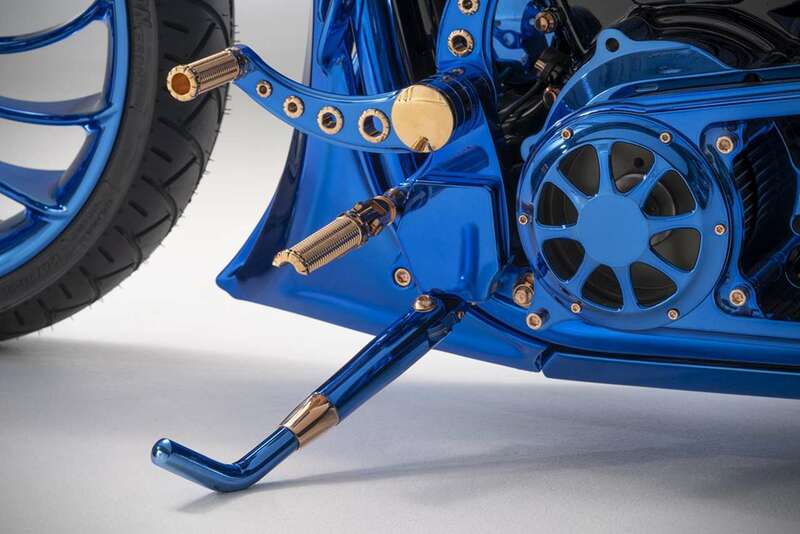 Based on a Harley-Davidson Softail Slim S, the bike features a stunning blue paint job, 360 diamonds, gold-plated screws, two safes that are integrated into the tank and contain a one-of-a-kind watch from Carl F. Bucherer as well as rings from Bucherer Fine Jewellery. 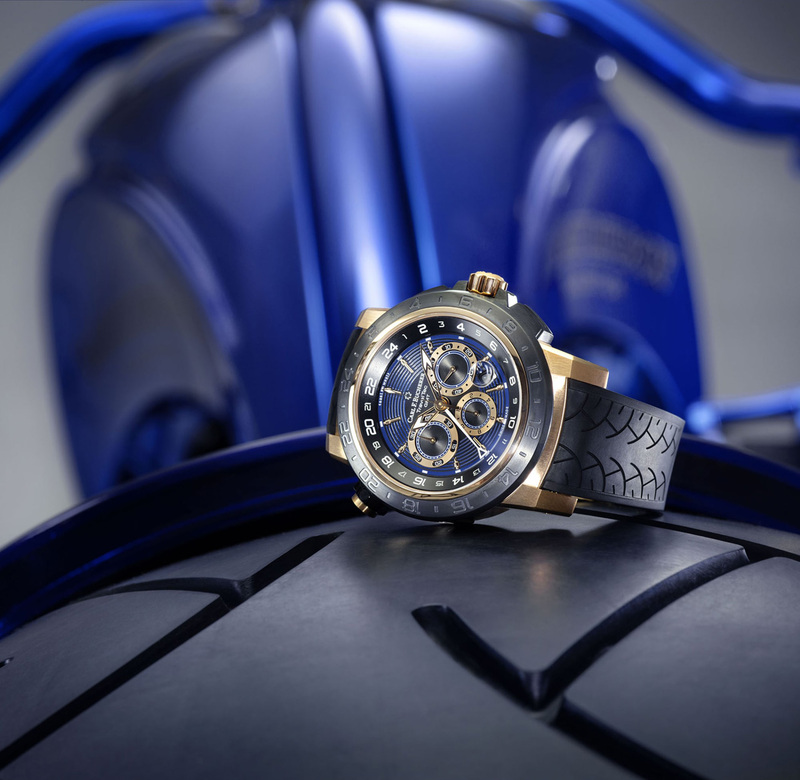 “It was a long road,” Samir Merdanovic, Head of Manufacture Movements at Carl F. Bucherer said of the development process. 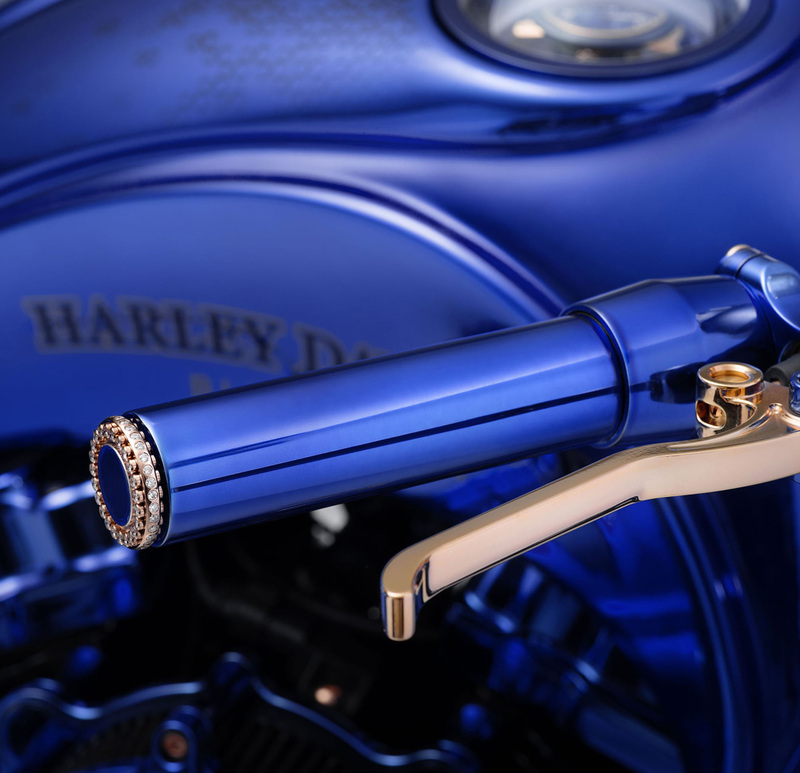 “The holder, for example, also serves as a watch winder. 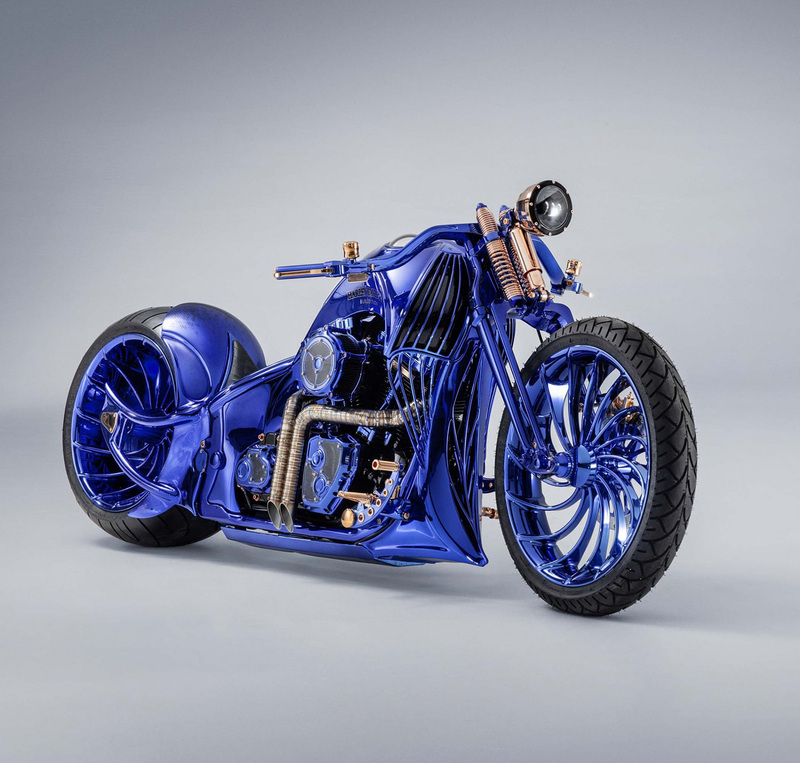 The watch is therefore wound regularly and continues to run, even if the motorcycle is not ridden for an extended period.” It took the two companies around 2,500 hours to create this beauty. 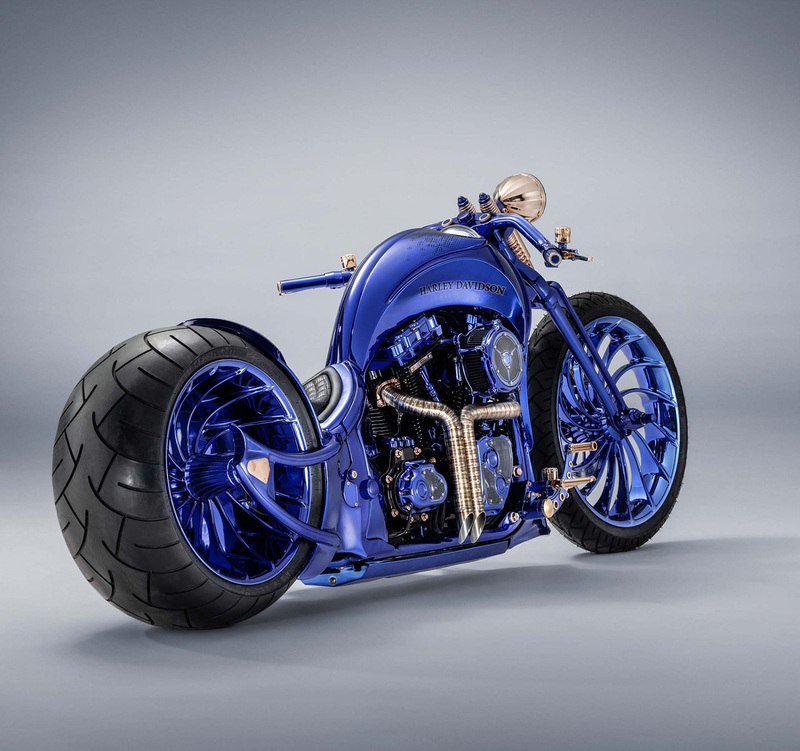 Priced at 1.8 million CHF ($1.79 million USD) only a single example was produced. 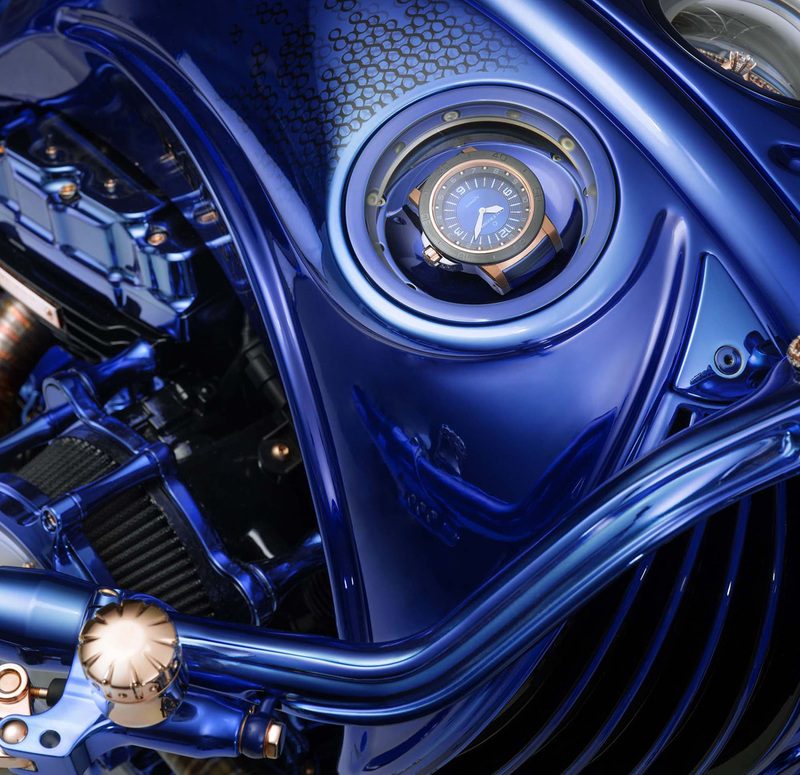 And don’t forget to check the list of Top 10 Most Expensive Cars in the World.